Feature:1. 7 Colours change: Red, Green, Blue, Yellow,Cyan, Purple, White.2. 3D vision effect, especially in the dark or take a photograph, the vision thrill will be strong!3. Acrylic is not glass, the whole board is solid acrylic material. Strong, hard, high toughness, not fragile, will not hurt the child;4. Smart Touch button : you can change the color by press the button, press it first the lamp light up, and press it again will change to another light.5. Flash color changing mode. Press the touch button to last color,auto color changing mode works.6. Low consumption, will not be hot after long time working, Light source use the high-quality LED, light is soft and uniform, no dazzling, non-flicker, won't hurt eyes. 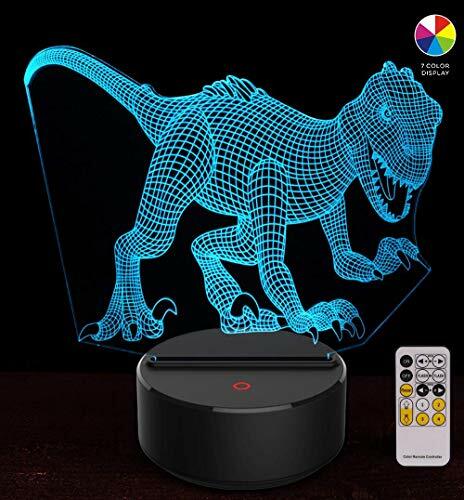 Please note: 1.3D is visual only, the item is 2D flatacrylic (plastic) plate.2.Please remove the surface protective film before using, the light will be more transparent.